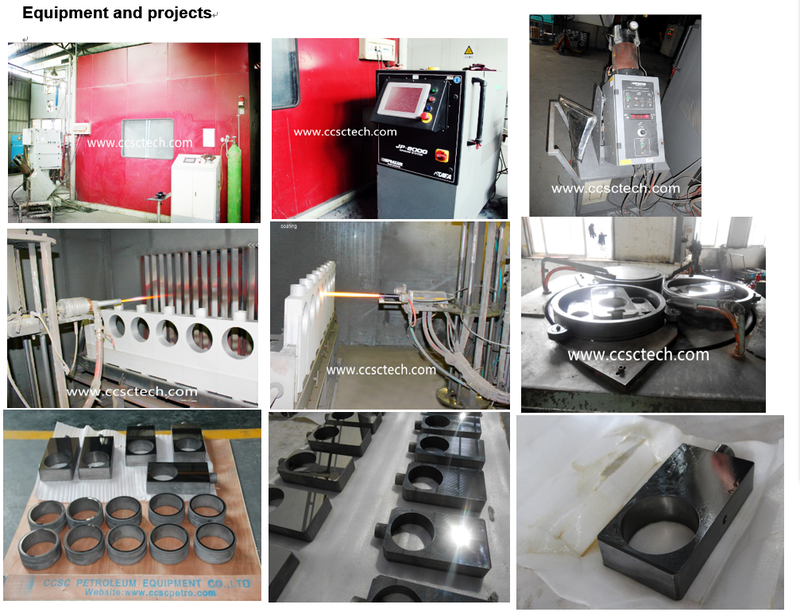 Tungsten carbide coating is widely used in all kinds of industries for improving surface properties and service life of the parts, it can make the parts more corrosion resistant, anti-abrasive and heat resisting, high pressure resistant etc. Typical applications of tungsten carbide coating include valve industry, printing industry, steel industry, papermaking industry, chemical-fiber Industry, oil gas industry etc. We adopt HVAF (High Velocity Air-Fuel) coating system and (High Velocity Oxygen Fuel) HVOF JP 8000 coating system which are made in USA, we adopt advanced supersonic spray coating process on our products. We CCSC technology dedicated to improving efficiency and safety in field operations, all kinds of products can be designed and manufactured according to user’s requirements.